The British car brand Aston Martin has sold its 37.5 precent stake to Investindustrial Holdings for £150 million or Rs 1,309 crore in Indian currency equivalent. This has also made clear that Mahindra is now officially out of the picture in acquiring the British car maker. Now it is possible the car maker could increase the lineup of cars in India that presently includes Aston Martin V8 Vantage, V8 - Vantage S, V12 – Vantage, Aston Martin DB9, DBS, Aston Martin Virage, Aston Martin Rapide and the mighty car Aston Martin One77. The disinvestment strategy adopted by AM aims at expansion in the next five years. In this period, it will be expanding its product portfolio as well as presence in newer markets across the globe. Now AM has two shareholders. One is Investindustrial and the other is Investment Dar. People who know the industry in depth believe that as the share of AM cars across the globe was almost steady with little improvement for quite some time, the present new investment that has come in will be giving a boost to the expansion plans. This will also help the car maker achieve the top luxury sports car maker title. As per the official release by the car maker, it will be investing over £500 million till 2017 and the present investment will be helping it achieve the target easily. Interestingly, Investindustrial is also a major stake holder in Ducati and its investment has come out to be highly fruitful in the form of new products as well as international presence. It is believed that the small luxury sports car Aston Martin Cygnet powered by 97 bhp engine will soon come to India. The Cygnet is a two door two seater computer controlled and has all the luxury and the class that any AM car has but in a miniature form. 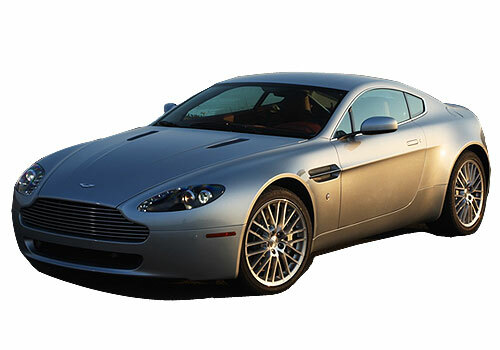 Among all these supercars I like Aston Martin V8 Vantage which has very classy appearance and super features. I have seen the tremendous performance of Aston Martin cars in James Bond 007 pictures too.